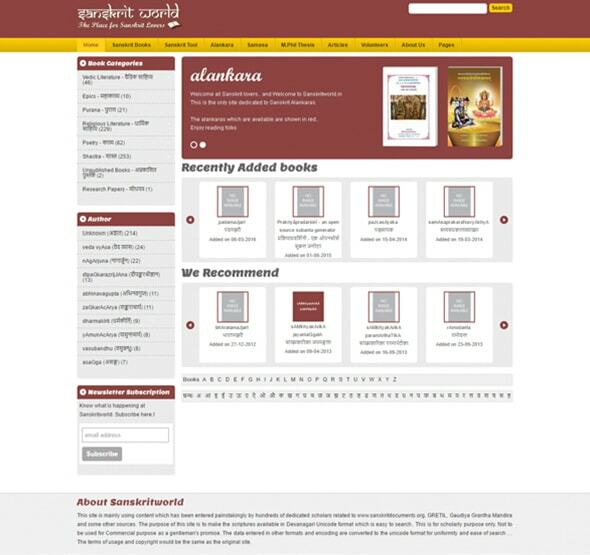 Sanskritworld provides free Sanskrit e-books categorized in various topics. It also includes, Sanskrit computational linguistics tools. Exploring various alankaras of Sanskrit language. Filter books with Authors, Categories and book letters. Easy to read book online and download the book as PDF.